Über 900 Mit­ar­bei­ter sind in den Design Centern in Neufahrn bei München, Stutensee bei Karlsruhe, Freiburg und Aachen sowie in den Pro­duk­ti­ons­be­trie­ben Frei­burg und Stu­ten­see und an über 20 weiteren Standorten eu­ro­pa­weit tätig. MSC Tech­no­lo­gies, ein Un­ter­neh­men der Avnet Inc. (NYSE: AVT), konzentriert sich auf intelligente Embedded- und Display-Lösungen für verschiedene Industrieanwendungen. Mit einer umfassenden Beratungskompetenz und dem Full Service-Angebot sichert das Unternehmen seinen Kunden einen Vorsprung im Markt durch innovative und hochwertige Produkte mit langer Verfügbarkeit. Der Spezialist ergänzt sein Angebot durch Kom­po­nen­ten und Module aus den Be­rei­chen Wire­less, Storage, Power und Light­ing. Digital signage offers fascinating possibilities to convey specific content to target groups. The applications range from electronic advertising panels with permanently changing content up to interactive terminals in shops to large information displays in airports, railway stations and other public places. 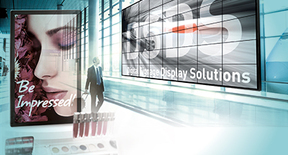 Displays, control kits, open frame monitors for indoor and outdoor applications belong to the portfolio. 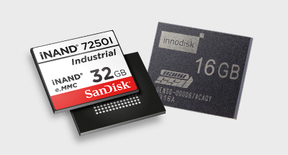 Memories and Storage are the backbone of any present PCB and System. Thus the question arises which technology would fit the best for each application? How to ensure the right choice of the optimal memory? 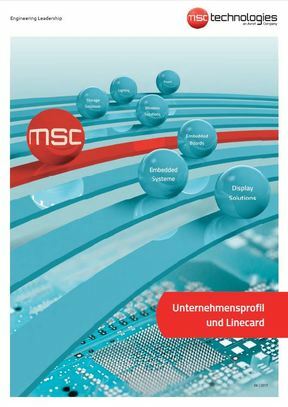 Our MSC Technologies Memory Team will help you finding the most suitable product for your requirement out of a wide variety of memory/storage media. For further technical support please feel free to ask our specialist at any time. An excellent reputation, broad of know-how and experience based on our own R&D and production skills makes us the ideal Design-In-Partner for particularly challenging applications.